For years, Mason Motz had extensive verbal and communication difficulties. But that has since changed: he is now a talkative, confident 6-year-old. Mason was born with Sotos Syndrome, a condition known for its facial appearance, childhood learning disabilities, or delayed mental abilities. He had been in speech therapy since he was 1 year old. He struggled to eat, sleep, swallow. He would choke almost every meal. After years of concern, Mason’s mother took him to see Dr. Amy Luedemann-Lazar at Kidstown Dental in Katy, Texas. 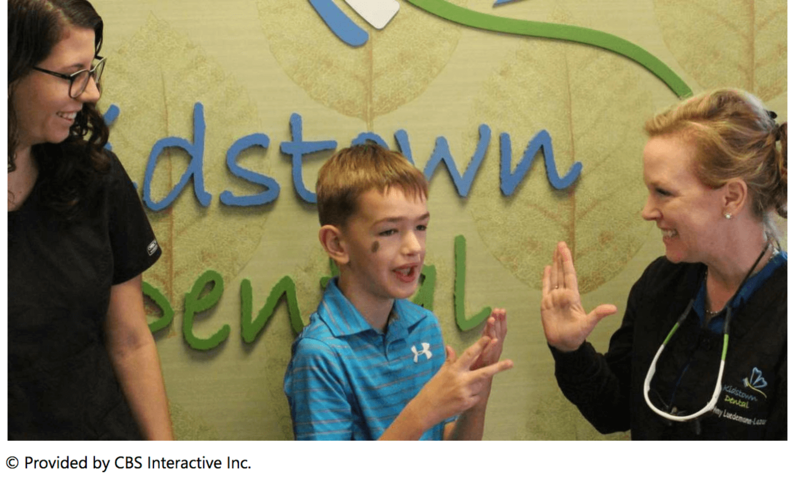 While she was examining Mason, Dr. Luedemann-Lazar noticed something: a tongue tie, or ankyloglossia, which is a condition from birth where an unusual band of a different size ties the bottom of the tip of a tongue to the floor of the mouth. Essentially, that was a big reason why Mason struggled to talk. Within 12 hours, Mason was talking like he never had before. Mason is continuing speech therapy but is speaking and communicating better than ever. He can now have a life where he is able to speak his feelings and thoughts. His future is brighter than ever.